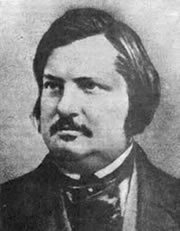 Honoré de Balzac (1799-1850), one of the great novelists of all literature and author of "La Comédie humaine", came of Midi peasant stock through his grandfather, whose surname had originally been Balssa,' and Parisian stock through his mother. He was born at Tours, where his father had an employment to do with army supplies. At the College des Oratoriens at Vendrûme (1807-13) he seemed a loutish, far from brilliant pupil, but he was, in secret, devouring the school library so rapidly that he had a breakdown. By 1814 his father was employed in Paris and Balzac went to a private school. There, in a lawyer's office, he acquired the sound knowledge of law and the ways of lawyers, which pervades his work. In 1819 his parents agreed to his forsaking law for literature, and gave him a meager allowance. On this he scraped along in a garret and wrote poems, history, and a tragedy (Cromwell), all equally bad. In 1820 his parents made him return home to Villeparisis, near Paris, where they had retired. Here he published several overwrought, sensational novels under pseudonyms but earned neither fame nor money. Then, once more on his own in Paris, he devoted himself to grandiose, often harebrained, commercial schemes in the hope of winning fortune and freedom to write. But in spite of financial help from women friends he was, at the age of twenty-nine, over 100,000 francs in debt. Undaunted by failure he picked up his pen and within five months had produced Les Chouans (1829). This, the first novel to be published under his own name, and his first success, showed his great gift for setting a scene with living figures, acting from plausible motives. He had at last gotten into his stride. His output became prodigious - some ninety-one novels and tales between 1829 and 1848 over and above the increasing demands of regular journalism. Balzac possessed legendary stamina, working from ten to fourteen hours daily, often going to bed at six in the evening and rising at midnight to write till the following mid-day, subsisting meanwhile on strong black coffee which be brewed himself. In 1832, shortly after the publication of La Peau de chagrin, Balzac received a letter of admiration and criticism from Mme Hanska (1801-82), a wealthy Polish countess. This began a long correspondence and - without hindering others - a liaison with Mme Hanska. 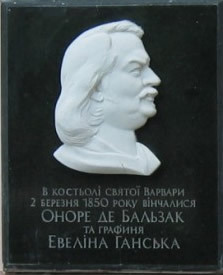 The outcome, in 1850, was marriage (celebrated in Berdichev), after Mme Hanska had been eight years a widow, and too late for her money to be of use: Balzac, whose powers had been failing for some time, died only a few months later.